Recently, we had a blog post that compared the federal income taxes paid by the top 1 percent income earners and the bottom 90 percent income earners. IRS data showed that in 2011, the top 1 percent of income earners (by AGI) paid 35.06 percent of all the federal income taxes compared to the bottom 90 percent which paid 31.74 percent. We also showed that this was not always the case. The following chart shows that from 1980 to 2011, the top 1 percent paid an increasing share as the bottom 90 paid a decreasing share. 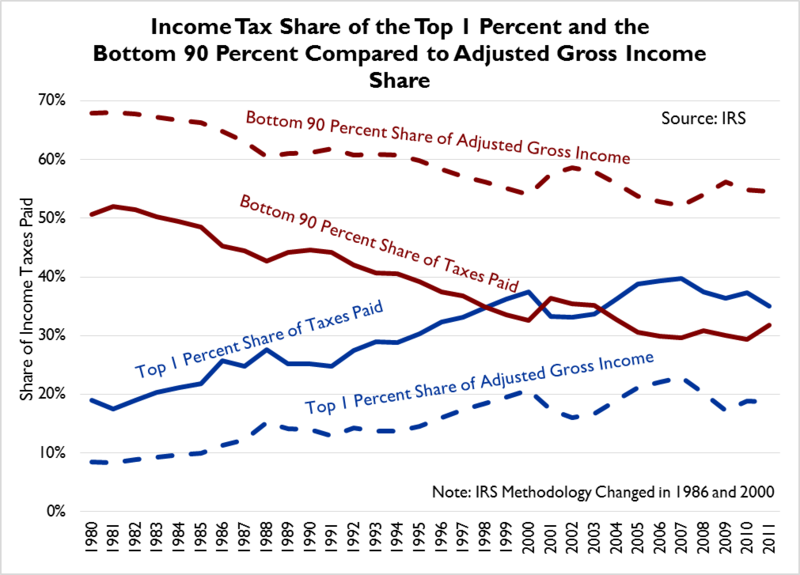 According to IRS data, this is true: the top 1 percent’s share of all adjusted gross income has grown from 8 percent in 1980 to 19 percent in 2011 (Blue Lines). Meanwhile, the bottom 90 percent’s share of all adjusted gross income has declined from around 67 percent in 1980 to 54 percent (Red Lines). While this is one observation you can make, there is more to be said about this data. First, if you look at just 2011, one can see the progressivity inherent in the tax code. In 2011, the top 1 percent’s share of adjusted gross income was 18.7 percent. However, due to the disproportionate tax burden, they paid 35.06 percent of all federal income taxes. Their share of income taxes paid is nearly double their share of adjusted gross income. 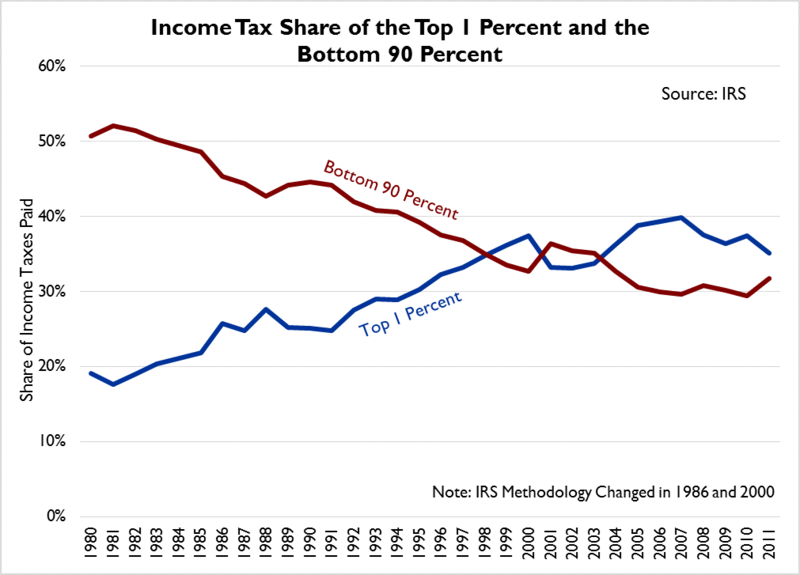 The bottom 90 percent also pay a much lower share of the income tax burden than their share of income suggests. Although they account for 50.72 percent of the adjusted gross income, they only account for 31.74 percent of income taxes paid. Second, you can observe how the difference between the share of adjusted gross income and the share of federal income taxes has increased since the 1980s for both groups. In 1980, the top 1 percent accounted for 8.46 percent of adjusted gross income and 19.06 percent of income taxes paid: a difference of 10.59 percent. By 2011, their share of income increased to 18.7 and their share of all income taxes paid increased to 35.06; the difference increased to 16.35 percent. The opposite can be observed for the bottom 90 percent. In 1980, the bottom 90 percent accounted for 67.87 percent of adjusted gross income and 50.72 percent of taxes paid; a difference of 17.15 percent. 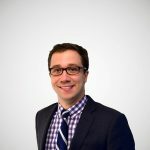 By 2011, the bottom 90 percent’s share of adjusted gross income declined to 54.61 percent while their share of taxes paid decreased even more to 31.74 percent; the difference in the shares increased to 22.87 percent. State Tax Successes in 2016 Thanks to You, Our Readers and Supporters!